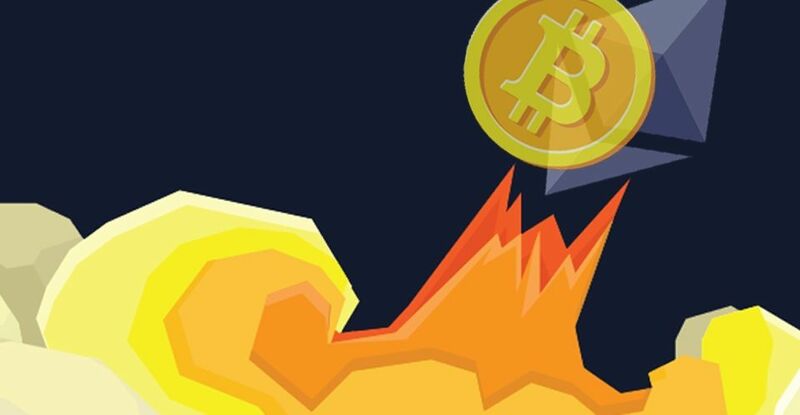 Ethereum and Bitcoin on Friday Oct 13, have experienced a surge in price which is being very welcomed by the crypto-community. New all-time highs for the Golden cryptocurrency, and breaking out of descending trends for the second in-follow. – Could the atomic-swap be behind it! It is no Upwards Rocket if there is no Double Digit! The train of increase initiated by Bitcoin has taken and included Ethereum price too as the second only to BTC has climbed 11.28 percent in the last 24-hours. It formed a near term high at $345.00 as the value was tanked by sellers at the major $350.00 level. – According to coinmarketcap. Since its all time high in the beginning of September, Ethereum dropped to the lows of around $185.00 which was followed by an attempted recovery and a range bound between $300 and $275.00. However, the ‘boring’ movement changed today as the pair ETH/USD broke above the range bound and is trading at $340.60 with a slight correction for the moment and preparation for the next jump. On the other hand, Bitcoin price is increasing-on since yesterday now reaching its new formed record value of $5,840.30 against the US Dollar. The kind of movement when the crypto-gold reaches new all-time highs everyday is very well known throughout the community as it previously did in Aug-Sep going for the $5,000. This very well could be linked close to the atomic-swap concept development for the last days for which news are traveling around speedy. It is very clear that a change in current business model of cryptocurrency exchanges is inevitable, as actual design is flawed, are far from practical end-to-end solution and relatively easy target for hackers!? So, a team of cryptocurrency developers is open-sourcing technology that enables trust-less trading between a bitcoin and ethereum blockchains. Available on GitHub, the code has already been used to execute what startup Altcoin Exchange claims is the first so-called “Atomic Swap” between the biggest cryptocurrencies by market cap, Bitcoin and Ethereum, when they traded bitcoin with ethereum, between two different blockchains. Dash Price Analysis: Can DASH/USD Break This? Writer, EthereumWorldNews | [email protected]hereumworldnews.com - Sam is an electrical engineer with years of passion writing for subjects that target or approximately do, his field of study. Now he is a full time writer for the team of Ethereum World News.